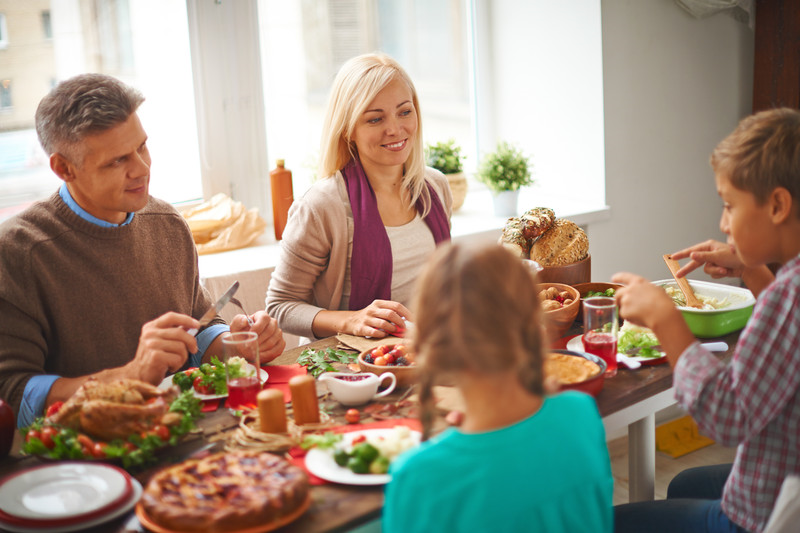 Dealing with hearing loss throughout the holiday season can be particularly challenging. While you may actually prefer to NOT hear some of your family members, the discussions you do wish to participate in can be stressful. And because nearly all large holiday gatherings tend to be loud, it can be close to impossible to concentrate on any one person or conversation. If you wish to engage in conversation, you have to cope with background music, people talking all at once around the table, and the Thanksgiving football game blaring in the background. This produces an impossible situation that can make you feel isolated and excluded. Short of making everyone repeat themselves or staying quiet, what are your options? It’s true, 10 years ago you didn’t have many. Older analog hearing aids could amplify speech—the trouble was that they also amplified everything else, including background noise. Since all sound was just made to be louder, it didn’t help a great deal with understanding the person you were talking to. But hearing aids have changed, and for the better. In particular, the latest hearing aids have two features that can salvage your holiday season: background noise reduction and speech focus. Earlier analog hearing aid models were really very straightforward gadgets. They contained a microphone, an amplifier, and a speaker. Sound was picked up by the microphone, amplified, and transported through the speaker to the ear. The complication was, of course, that the hearing aid couldn’t differentiate between vocalization and background noise. The amplifier made every sound louder, so unless you were in a quiet setting, you had a difficult time hearing voices. Since holiday events are anything but quiet, what you ultimately need is a hearing aid that can distinguish between sounds—which is precisely what modern digital hearing aids can accomplish. Digital hearing aids, coupled with containing a microphone, amplifier, and speaker, also feature a digital processor. That means sound can be converted into digital information that the hearing aid can make use of to distinguish between various kinds of sounds. By identifying and tagging different types of sounds, today’s hearing aids can be programmed to amplify only sounds with targeted traits, such as all of the frequencies you have difficulty hearing. Background sounds, on the other hand, can be conveniently identified and silenced. In addition to restraining background sound, modern hearing aids can also recognize and concentrate on speech. Speech has a exclusive trait in that it is made up of primarily of high-frequency sounds. This makes it easy for the digital processor to differentiate between speaking and background noise, which is principally low frequency. What’s more, digital hearing aids have what are referred to as directional microphones, which can locate the direction of sound. Some hearing aid models can even focus the microphones in specific directions, such as the direction of the person you’re talking to. Give us a call today and we’ll assist you to select among the amazing digital hearing aid technology on the market. Then, with your new hearing aids—outfitted with background noise suppression and speech focus—you’ll be able to hear all of the conversations with comfort and clarity.